Full name of Narendra Modi is Narendra Damodardas Modi. He was born in 17 sept 1950 at vadnagar, Bombay state, India. He was the third of six children born to Damodardas Mulchand Modi and Hiraben Modi. He is the 14 the prime minister of India since 2014. 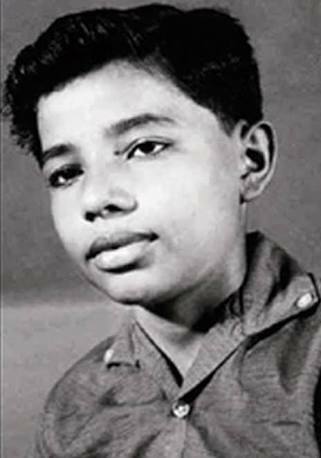 Born to a Gujarati family in Vadnagar railway station, Modi helped his father sell tea as a child and later ran his own stall in a bus stop. Modi studied his higher secondary education in Vadnagar in 1967, He has not good enough in academia but he has a good speaker and he is very much interested in theatre. Modi had an early gift for rhetoric in debates, Modi preferred playing larger-than-life characters in theatrical productions.when he was eight years old when he joins in R.S.S(Rashtriya Swayamsevak Sangh). He is the person who is very much influenced by Swami Vivekananda. Engaged while still a child to Jasodaben, a girl from a family who lived close by, Modi rejected the arranged marriage at the same time he graduated from high school. He leaves his home because of marriage he didn't accept the marriage and leave home in 1967. After two years he was coming to Ahmadabad. Then again join to the (R.S.S).In June 1975, Prime Minister declared a state of emergency in India which lasted until 1977. Modi was joined in BJP in the year of1986. In 2001, Keshubhai Patel's health was failing and the BJP lost a few state assembly seats in a by-election. And also earth-quick also strike Gujarat. Then after Narendra Modi elected as the C.M of Gujarat in 2012. His work was influenced by people very much then he will be elected by 4 times in Gujarat C.M(2002-2014). 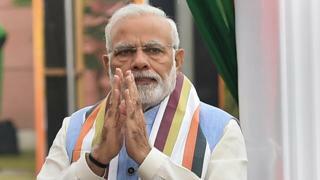 Modi led the BJP in the 2014 general election, which gave the party a majority in the Loka Sabha, the first time a single party had achieved this since 1984.